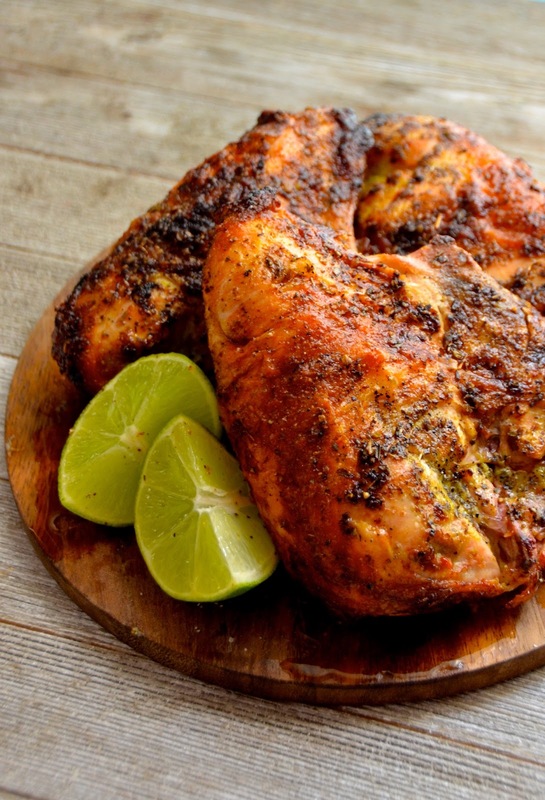 Every time I make this easy marinated roast chicken breast recipe I think that it's the sort of thing I should do at least once a week (and then I forget to do so until the next time...lather, rinse, repeat). It really is the easiest thing, and so very flavorful. A perfect weeknight recipe! The marinade takes a few seconds (everything in a blender or food processor and blitz for a few seconds), and then the oven really does the rest of the work while you whip up some easy veggie sides or even just a big green salad. I recommend making this on grocery day. 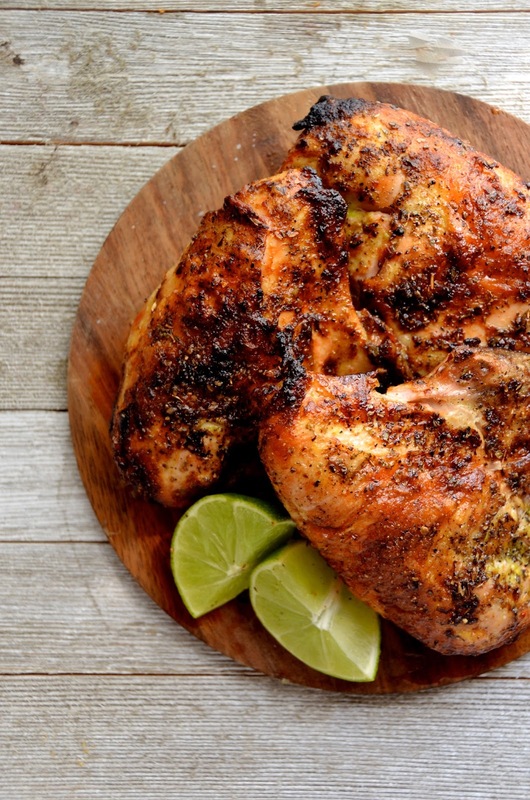 Buy the chicken and marinade ingredients, prep it all (again--this takes minutes! ), then pop in the fridge for a day or two or three to let it marinate. When you're ready to cook, just place on sheet trays and pop in a very hot oven for about 45 minutes, until the meat is cooked through and the skin is crispy. Eat some of it hot, then save the rest for easy chicken salads, sandwiches, etc. It's perfect for those of you who (like me!) prefer white meat chicken to dark. All that roast chicken flavor without any of the fuss or the parts you don't love. Place the chicken breasts in a large gallon-sized zipped bag or container with a lid. In a small blender or food processor, combine the garlic, onion, cilantro or parsley, salt, olive oil, citrus juice, pepper, and oregano. Puree until smooth. When ready to cook. Preheat oven to 425 degrees. Place chicken breasts skin-side up on a baking sheet making sure to spread them out so that there is room on all sides of each breast. Roast uncovered for 30-45 minutes, or until chicken is fully cooked and skin is crispy. Remove from oven, sprinkle with a bit of salt and pepper, and squeeze on some fresh lime or lemon before serving.